Training and co-op education programs. 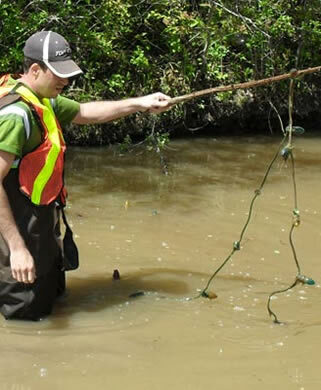 Water quality monitoring including chemical, physical and biological. . Working in collaboration with Environment and Climate Change Canada, Ministry of Natural Resources and Forestry, Niagara Peninsula Conservation Authority, Ministry of the Environment and Climate Change, Bert Miller Nature Club, and the Environmental Advisory Committee for the Town of Fort Erie on localized Great Lakes Nearshore Framework objectives with the Niagara Community Coastal Collaborative group. Stevensville Conservation Area Reforestation and Education Project funded with a $213,000 grant from the Ontario Trillium Foundation. Albert Street Park restoration project took place on November 23rd, 2017 in collaboration with the Town of Fort Erie using more than $6000 worth of native tree species. Classify (excellent-poor) and document aquatic habitat; i.e. felled trees, in-stream plant cover etc. Examine and document current condition of creek banks; i.e. erosion, exposed roots, substantial slope etc. Identify possible sources of pollution; i.e. drainage pipes, local land use, foreign debris etc..